Photos by Bro. Bernard Polinak, S.J. 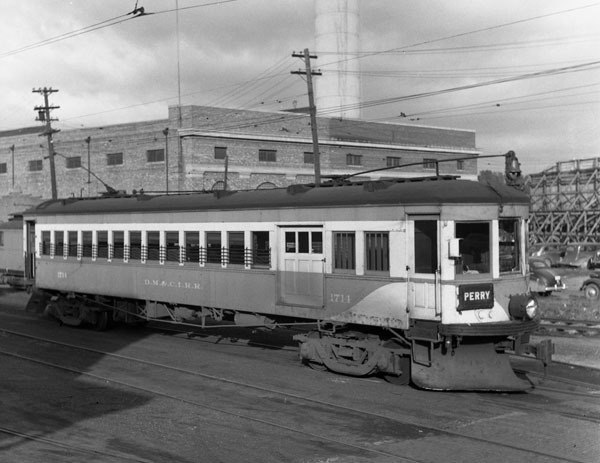 The Des Moines & Central Iowa railroad was an interurban line that had two routes – Des Moines – Perry 34.7 miles and Des Moines – Colfax about 24 miles. There was also a freight belt line around Des Moines that generated enough traffic to keep the line solvent, at least until 1949 when it was sold and dieselized. 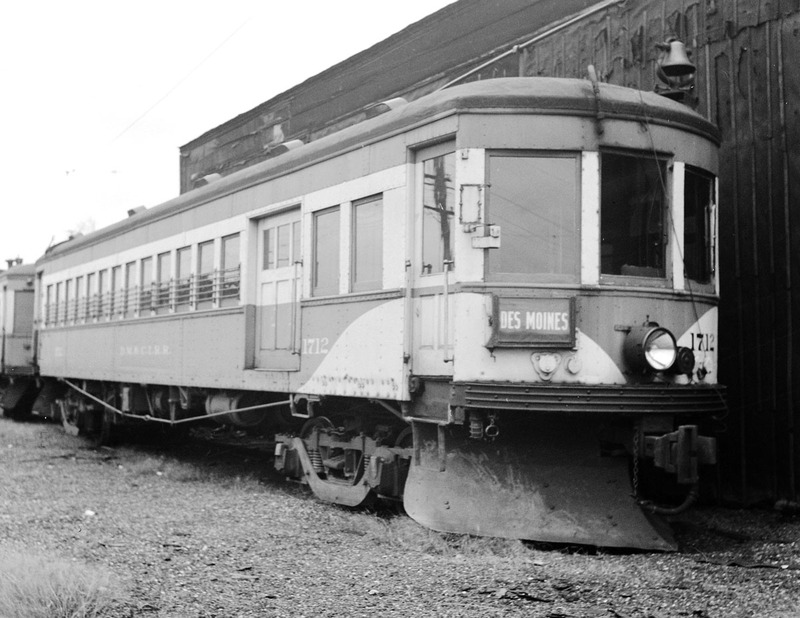 In March 1939 the DM&CI purchased three Lake Shore Electric Railway interurbans, Nos. 170, 179, and 180. The DM&CI added a baggage compartment, truss rods and a large bell on the roof. 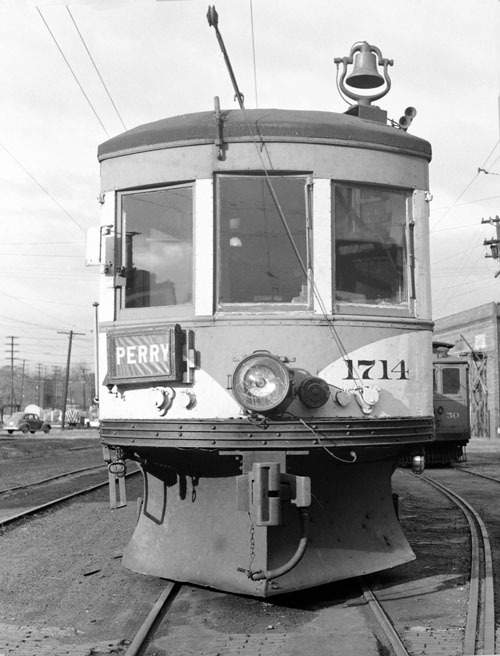 The new cars were renumbered 1710, 1712 and 1714. No. 1712 was in a collision with a semi-truck July 7, 1940. 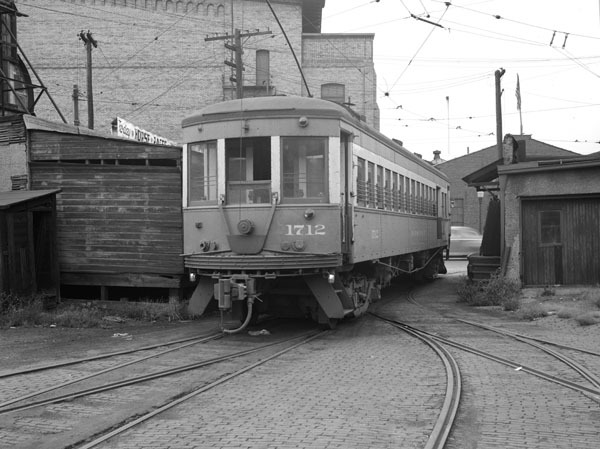 The interurban ended up on its side, still it was returned to service. 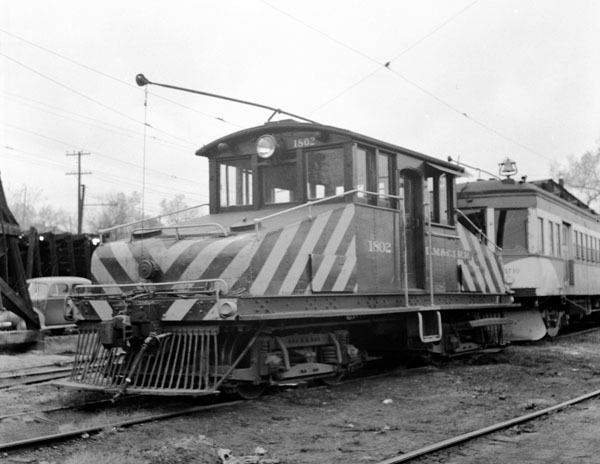 All three cars were scrapped in 1949 when the line was dieselized. The opportunity to ride a former Lake Shore Electric Railway car may have been what brought our travellers to Des Moines. 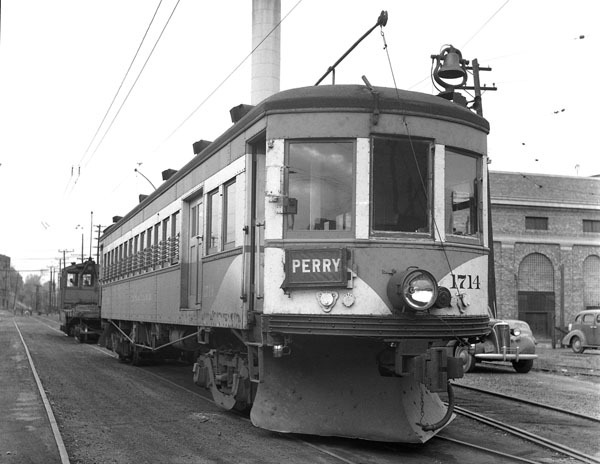 The LSE ran from Cleveland's Public Square to Toledo with connections to Detroit. It ceased operations in 1938. This is the only Des Moines photograph taken by Anthony F. Krisak. The DM&CI had at several steeple cab electric locomotives that were used for their belt line freight business.